More than half of adults struggle with some form of periodontal disease, the effects of which present serious problems for their oral health. At Schambeau Dental Care, we are committed to enhancing our patients’ health and wellness through effective gum disease treatments in Hoover, AL. Though gum disease is a highly prevalent, is it also a preventable condition. Advanced stages of infection damage soft tissue and destroy the bone supporting your teeth; it is a condition that not only affects your teeth, but it also increases the risk for serious health conditions, including heart attacks or stroke. If you notice any of these signs, it’s important to visit our Hoover dental office immediately for care. The symptoms of periodontitis may appear subtle to the untrained eye, but are recognizable by a dental professional. Gum disease can be caused by many factors, including plaque buildup, illnesses that disrupt the immune system, hormonal changes, medications, and most of all -- poor oral hygiene or even genetics. We suggest treatment depending on the severity of the disease’s progress. Early-stage gingivitis can be treated with one to two regular dental cleanings, with instructions for improved daily oral hygiene behaviors and continued regular dental cleanings. More progressed stages of the disease may require root scaling and root planning, a special periodontal cleaning, or in some cases, periodontal surgery. Dr. Schambeau has more than twenty years of experience at effectively spotting and treating gum disease. We take time to coach patients on proper brushing and flossing habits to help prevent signs of gum disease. If you find that you are demonstrating signs of advancing gum disease, we have treatments that can help you manage symptoms and re-claim your oral health. 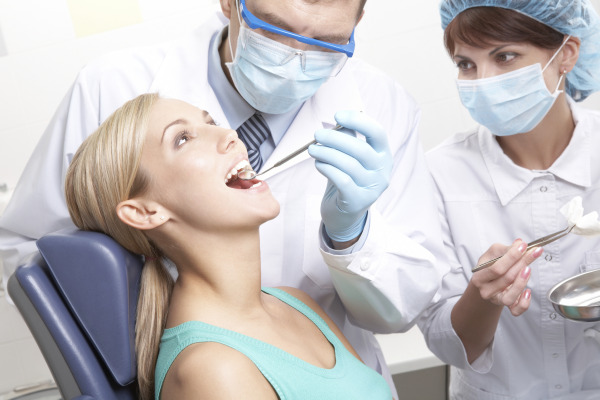 Our Hoover periodontal team is ready to address your oral health concerns no matter how big or how small. If you’ve been experiencing bleeding or swelling gums, contact us today forfor gum disease treatments – we’re here to help and are happy to schedule you for an appointment today!